The Ace of Spades gained notoriety after Francis Ford Coppola’s war epic, Apocalypse Now, hit screens in 1979. The card was flung onto the bodies of dead enemy soldiers as part of psychological warfare designed to reap fear in the Vietnamese. 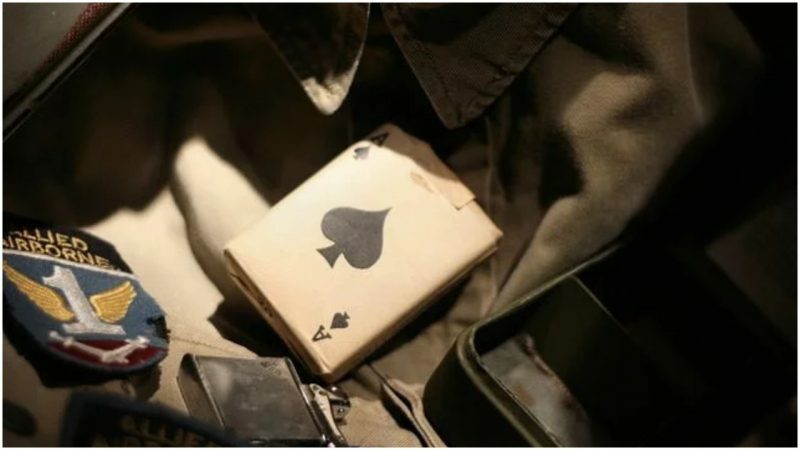 The card, associated with death, could be found among standard-issued card decks distributed to soldiers. The practice of putting those cards on the bodies of dead enemies began in Vietnam and was most probably initiated by American soldiers in the field. Even though it became popular during the 1960s, the card’s use as a symbol dates earlier–to the days of World War II. It was the soldiers of the 101st Airborne Division who first started wearing helmets with an Ace of Spades emblem painted on them. The reference, however, was different. For them, it was a good luck symbol, associated with good fortune in card playing. Also, since it was easily recognizable, the emblem served as a means of identification among friendlies. But in Vietnam, it took on a darker and more sinister meaning. The intention was to target the alleged superstitions of the North Vietnamese, by making the Ace of Spades the symbol of death, humiliation, and suffering. It was believed that all these features were well-known to the Vietnamese and that the card was a potent symbol that would strike fear into the enemy ranks. The history of the relationship between the Ace of Spades and death dates back to ancient times, when it was solely a European phenomenon. The background of the symbol is derived from Germanic myths and the Yule festival, which marked the beginning of winter. Winter was feared among the common people, as the cold months often meant famine and even death. This is where the macabre meaning of the card originates. Naturally, it found its way to popular culture and became very common among soldiers. 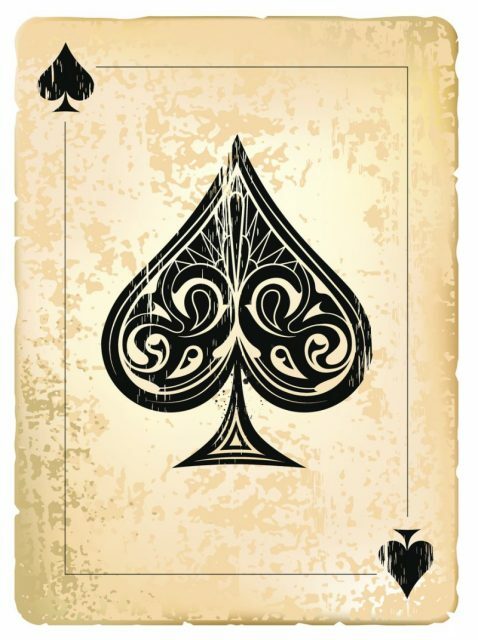 Although no one can pinpoint the origin of the rumor, which launched the using of the ace of spades as a means of intimidation, once it started, it spread among American troops rather rapidly. In 1966, a group of four officers from the 25th Infantry Division sent a letter to the U.S. Playing Card Co. based in Cincinnati requesting 1,000 decks of 52 cards with only the Ace of Spades in them. To their great surprise, the aces were sent free of charge, and the media started spreading the rumor that the Viet Cong feared the symbol more than the bombers. The theory was that they were acquainted with the symbol during the time of French colonial rule and that the European perspective of the card held even greater importance to them, as it symbolized decades of foreign rule and centuries of foreign influence. Also, the U.S. Playing Card Co. cards had an image of a woman on the Ace of Spades card, which could have been interpreted as a bad omen as well. It became clear that the symbol wasn’t used to gain an effect against the enemy, but to serve as a morale booster for the American troops, as it assured them that they were tough and fearless warriors. They wore it on their helmets, carried them around for photos, and, of course, distributed them after a battle as a sort of a calling card. The practice was to leave a card on the fallen enemy’s eyes, implying that the Ace of Spades was the last thing he saw. The symbol was also used on leaflets, together with a skull, warning the NVA troops to cease combat activity, or else face death. Because of Apocalypse Now, the card became famous outside of military circles, and in a way became the symbol of the war itself. Later on, during the 2003 Operation Iraqi Freedom, decks of cards were printed with faces of leading Iraqi officials who were declared most wanted by the U.S. Military. The “Death Card” bore the image of Saddam Hussein, for which he got the nickname The Ace of Spades.